Marina Port de Mallorca belongs to IPM GROUP, the leading yachting facilities group in the Mediterranean. 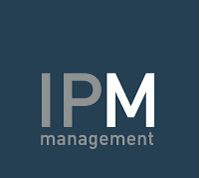 IPM Group is a group of companies involved in the construction and management of marinas and shipyards, and that also play a consultancy role in boating sector projects at a national and international level. It currently has the most comprehensive and advanced nautical facilities in the Mediterranean and a professional team with extensive experience, whose trajectory is founded on quality and excellence.